From the classics to new favorites, here are the best board and card games for your next family game night! We love having Family Game Night at our house. If you haven't started this tradition yet, it is a great way to bring the whole family together for fun and laughs. We have quite the collection of games, and are always adding new ones during the holidays! 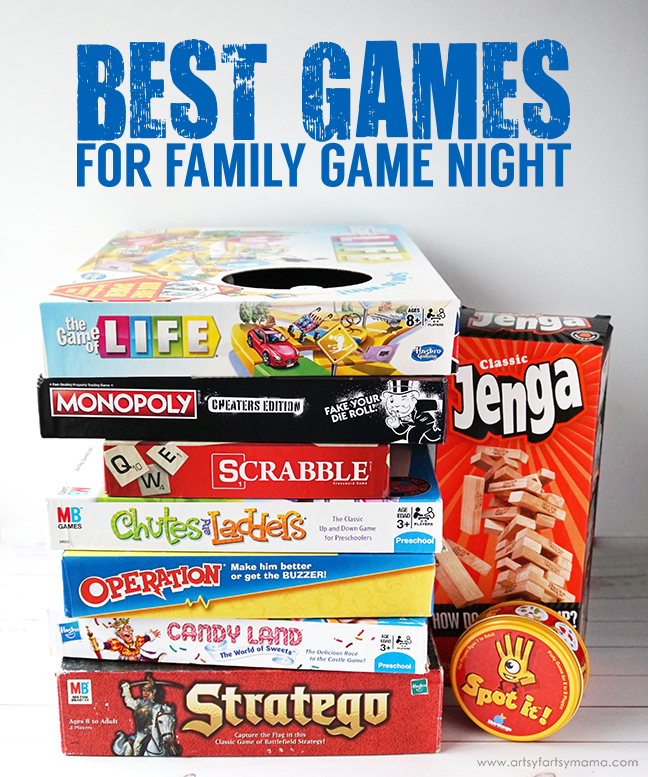 If you are looking for some fun games to play at your next game night, here's a list that we've compiled of the best board and card/dice games that your family is sure to love! Candy Land (Ages 3+): Players draw colorful cards to guide their mover along the rainbow path to luscious locations such as Peppermint Forest, Lollipop Palace, and Licorice Lagoon! It's such sweet fun as players race to be the first one to reach King Kandy's Castle to win! Chutes & Ladders (Ages 3+): Be the first to move your child-shaped playing piece from square one to square 100 - but watch out! If you land on the square that shows you ate too much candy, you get a tummy ache and slide down a chute to a square a few numbers below. But if you end your turn on a good-deed square, you'll be rewarded by a ladder-climb up the board. Trouble (Ages 5+): Pop all around the board for the win when you play Trouble! Set up your pegs and then hit the Pop-O-Matic die roller to roll the dice. You can move your pegs all the way around the board to the Finish space, but watch out - if another player's peg lands on the same space as yours, your peg has to start over. The player who gets all 4 pegs into the Finish space wins! Operation (Ages 6+): Use the tweezers to take out all of Cavity Sam's 12 funny ailment parts Players choose a doctor card and "operate" to remove that ailment from Sam, and collect the money if they can avoid the buzz. The player with the most money wins! Jenga (Ages 6+): It's the classic block-stacking, stack-crashing game of Jenga. How will you stack up against the law of gravity? Stack the wooden blocks in a sturdy tower, then take turns pulling out blocks one by one until the whole stack crashes down. Is your hand steady enough to pull out the last block before the tower collapses? Qwirkle (Ages 6+): Qwirkle is simple to learn, yet strategic and exciting to play. Build lines of tiles that are all the same color or shape, with no duplicates. Score big by placing a tile that touches multiple pieces with matching attributes. Score even bigger by matching all 6 attributes and creating a Qwirkle! Mancala (Ages 6+): Players choose a pocket and scoop up all the stones, then drop them back into the pockets one-by-one as they circle the board. With just a few easy rules to follow, the object is to collect the most stones by the end of the game. It sounds like a simple marble game, but it's got plenty of STEM skills like counting and strategic planning. Guess Who? (Ages 6+): It's the original guessing game! Each player chooses a mystery character and then using Yes/No questions, try to figure out the other player’s mystery character. When they think they know who their opponent's mystery character is, make a guess. If the guess is wrong, that player loses the game! Sorry! (Ages 6+): Slide, collide and score to win the Sorry! Game. Kids draw cards to see how far they get to move one of the pawns on the board. Kids keep on moving and bumping until they get all three of their pawns from Start to Home. But watch out, because if the pawn gets bumped, Sorry! It's all the way back to Start! Connect 4 (Ages 6+): Players can stack discs upwards, horizontally, or diagonally then drop in a blue disc for an unexpected strategy move. Stay one step ahead of opponents and block their attempts to get to 4-in-a-row first! Twister (Ages 6+): It's the hilarious, active game that ties you up in knots! The spinner will tell you on which spots to place your hands and feet, making you wind up in some pretty ridiculous positions. Enjoy classic Twister gameplay that you loved as a kid, and switch it up with the 2 special gameplay options that make the game even more outrageous and fun. Battleship (Ages 7+): This exclusive edition of the Battleship game includes 2 planes in addition to ships, for exciting aircraft combat. Position ships strategically to survive opponent's relentless strikes, and track hits and misses with red and white pegs on the ocean grid. Blokus (Ages 7+): Blokus takes less than a minute to learn, but offers endless strategy and fun challenges for the whole family. There’s just one rule: each piece you play must touch at least one other piece of the same color, but only at the corners! The goal is to fit the most pieces on the board. The game ends when no more pieces can be placed down, and the player with the lowest number remaining wins! Sequence (Ages 7+): Sequence Game Play a card from your hand, and place a chip on a corresponding space on the game board - when you have five in a row, its a Sequence! Easy enough for children, challenging for adults! 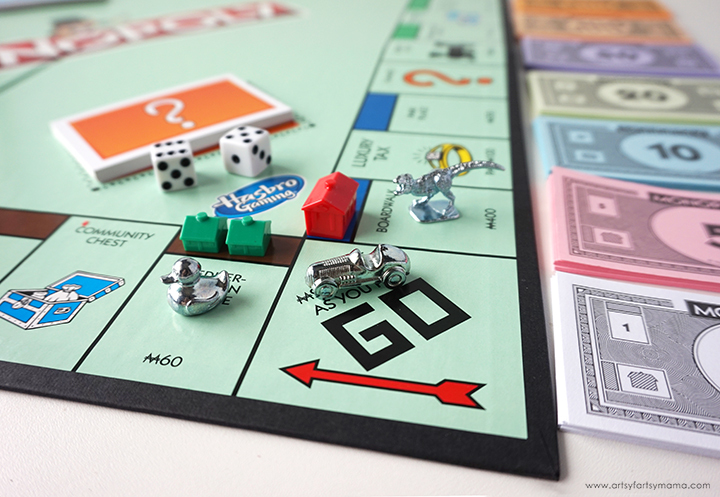 Monopoly: Cheaters Edition (Ages 8+): Change up game night with this version of the Monopoly game where cheating is not only welcome, it's a must do! With the Cheater's edition, players can try to get away with as many cheats as they can. They're rewarded for completing a cheat and penalized for failing one. Follow, bend, or break the rules to win! 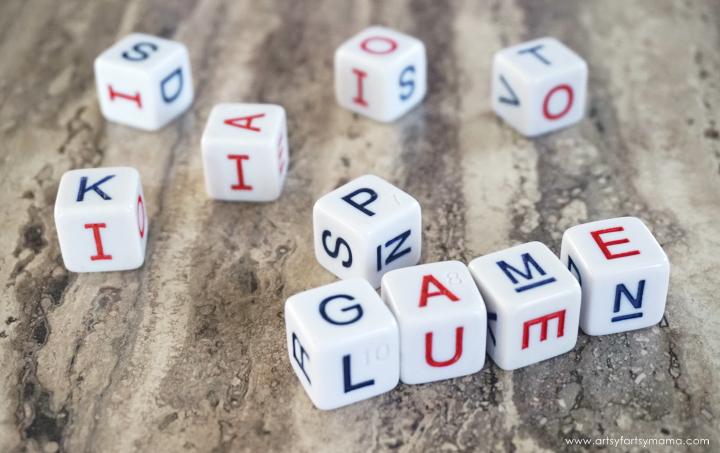 Scrabble (Ages 8+): Put letters together, build words, add up your points and win! This classic game features the classic Scrabble equipment for a big-time word-on-word showdown. Use your letters to score points and challenge your family and friends. It’s your word against theirs! The Game of Life (Ages 8+): In the game of life game players can make their own exciting choices as they move through the twists and turns of life. Who's headed for wealth and fortune? Play, spin to win and find out! Once everyone reaches the end of the game at retirement, everyone pays their debts and adds up their wealth. The player with the most money at the end of the game wins! Clue (Ages 8+): One murder...6 suspects. In this suspenseful Clue game, players have to find out who's responsible for murdering Mr. Boddy of Tudor Mansion in his own home. Get the scoop on the mansion's rooms, weapons and guests and start detecting! Was it Plum with the wrench in the library? Or Green with the candlestick in the study? Eliminate information throughout the game in this classic whodunit. The player who correctly accuses Who, What, and Where wins! Stratego (Ages 8+): Challenge an opponent and attempt to lead your army to victory in this strategic game. Two players command Napoleonic armies and devise plans to deploy troops, using strategic attacks and clever deception to break through the opponent's line and capture the flag! Mastermind (Ages 8+): Test your code-cracking prowess with Mastermind. The "codemaker" sets a code of four colored pegs, and conceals it behind a flip-up shield. Your mission: replicate the code in 10 moves or fewer. With each of the codebreaker's attempts, the codemaker uses red and white key pegs to offer cryptic clues about color and position. With more than 2,000 possible code combinations, every game is guaranteed to be a brain-bender. Ticket to Ride (Ages 8+): Ticket to Ride is a cross-country train adventure in which players collect and play matching train cards to claim railway routes connecting cities throughout North America. Catan (Ages 10+): Guide your settlers to victory by clever trading and cunning development. The random mix creates a different board virtually every game. No two games are the same! Taco Takeover (Ages 6+): Ready, set, TACO! Players race against each other to see who can correctly fill their taco orders first. But be careful! If you draw a "La Cucaracha" card, or are dealt an "Antacid" by an opponent, you'll need to dump your taco and start over! Pizza Party Supreme (Ages 6+): Roll the dice and make your best slice! Gather your friends and see who can combine the tastiest toppings and make their supreme pizza the fastest! UNO (Ages 7+): Players take turns racing to get rid of all their cards by matching a card in their hand with the current card shown on top of the deck either by color or number. Special Action cards deliver game-changing moments and help defeat opponents! Don't forget to shout "UNO" when you only have one card remaining! Skip-Bo (Ages 7+): Skip-Bo is the ultimate sequencing card game that uses skill and strategy to create stacks of sequentially numbered, ascending cards (2,3,4) until they have no more left to play. The Skip-Bo “wild” cards break up static situations and may be played as any number. Use these cards wisely, for they can really help you beat your opponents! The first player to deplete all of his or her Skip-Bo stockpile cards is the winner! Phase 10 (Ages 7+): This is a rummy-type card game with a challenging and exciting twist! The object of the game is to be the first player to complete 10 varied Phases: two sets of three, one run of seven, seven cards of one color, and more. The twist is that each Phase to be completed is specific for each hand dealt. Those who complete the Phase advance to the next, but those that don't must try again. Headbanz (Ages 7+): Play Hedbanz, the quick question game of “What am I?” Ask yes/no questions to figure out if the card on your head is an animal, food or man-made object. Be the first player to guess what you are and win! Spot-It! (Ages 7+): Spot it! is the addictive, feverishly fun matching game for every generation. The first thing to know about Spot it! is that there is always one, and only one, matching symbol between any two cards. Got it? Now all you need is a sharp eye and a quick hand to play! Tenzi (Ages 7+): Tenzi is the world’s fastest dice game! Roll the dice as fast as possible, and the player who gets all dice on the same number and yells "Tenzi!" is the winner. Exploding Kittens (Ages 7+): Exploding kittens is a card game for people who are into kittens and explosions and laser beams and sometimes goats. In this highly-strategic, kitty-powered version of Russian roulette, players draw cards until someone draws an exploding kitten, at which point they explode, they are Dead, and they are out of the game (unless that player has a defuse card). All of the other cards in the deck are used to move, mitigate, or avoid the exploding kittens! Pass the Pigs (Ages 7+): This Pass the Pigs classic party game consists of 2 pigs you use as dice. Roll them as many times as you dare on your turn to score points. Just don't roll a 'pig out' or an 'oinker'. First person to 100 points wins. Makes an ideal travel game with its small plastic carrying case. Yahtzee (Ages 8+): It’s the classic dice-rolling challenge of Yahtzee, and you'll shake, score and shout! Roll the dice! Score points for a full house, straight, 3 of a kind or 4 of a kind. Score 50 points with a Yahtzee (5 of a kind)! Sleeping Queens (Ages 8+): The Pancake Queen, the Ladybug Queen and 10 of their closest friends have fallen under a sleeping spell. It is the players' job to wake them up using strategy, quick thinking and a little luck. The player who wakes the most queens wins. Word Shout (Ages 8+): You've got to let loose in this wild word-grabbing game. You never know what words the roll of the letter dice will make, just find them fast and shout them out to be sure you get them before anyone else. Watch Ya' Mouth (Ages 8+): A laughter-inducing, competitive card-based game with teams of players hampered by cheek retractors that attempt to read and interpret/speak out phrases! Apples to Apples Junior (Ages 9+): Apples to Apples Junior is the game of hilarious comparisons! Based on the popular card and party game, Apples to Apples (ages 12+), this Junior version gives kids hilarious, fast-paced fun while also building their vocabulary and thinking skills. 5 Second Rule (Ages 10+): Pick a card, read the seemingly easy topic, then start the timer! With only 5 seconds to name 3 things that fit the topic, it doesn't seem so easy!